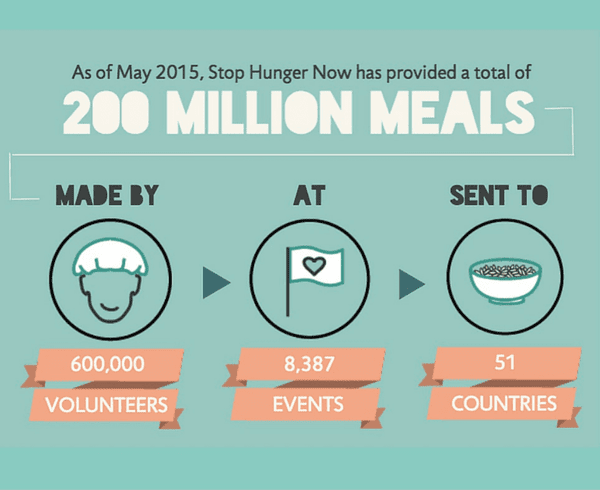 Stop Hunger Now have provided more than 200 million meals to people in over 50 countries. They host large-scale food packaging events and coordinate targeted humanitarian relief. Based in Raleigh, North Carolina, their creative team is a driving force behind recruitment. Carolyn Turney is the manager of Digital Entertainment. She crafts online online content that tells compassionate stories of hope and illuminates the causes of extreme poverty. In emergencies, Carolyn will often go straight to Canva. Between Facebook and Twitter, the Stop Hunger Now’s Raleigh headquarters reaches over 1 million online users each month. Overall they have 20 US locations, and six more internationally, each with their own social media networks. Maintaining a seamless visual identity across these offices is vital for online credibility. 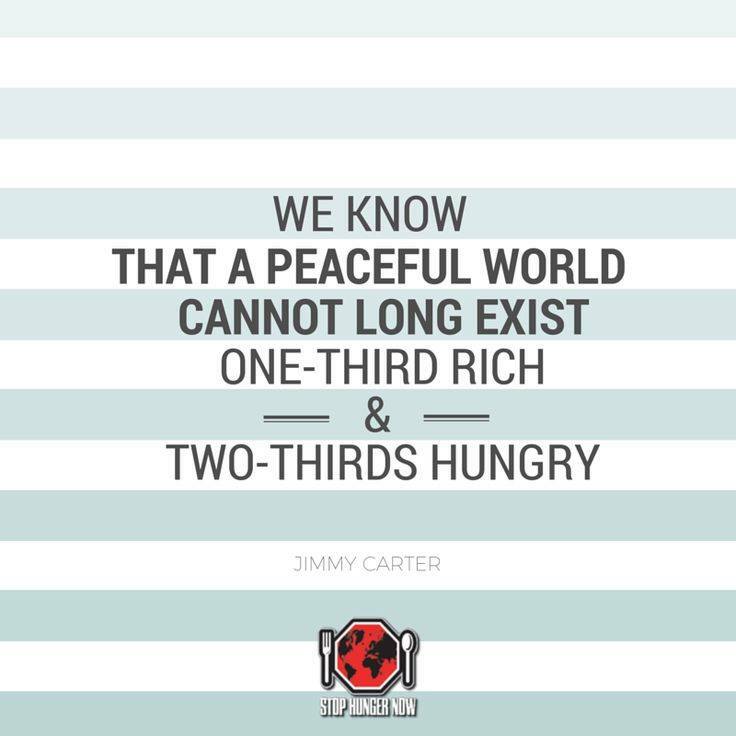 Stop Hunger Now use Canva-made images to illuminate stories of hope and promise. The creative team use Canva for Work to create powerful infographics. Carolyn explains that with Canva for Work, Stop Hunger Now can can change the scope of each design according to its intended audience. They have flexible Canva for Work templates, ready to demonstrate either a microview (the effect of hunger and extreme poverty on the individual) or a macroview (the effect on a national GDP, for example). In either case, it comes down to simple, visual storytelling. 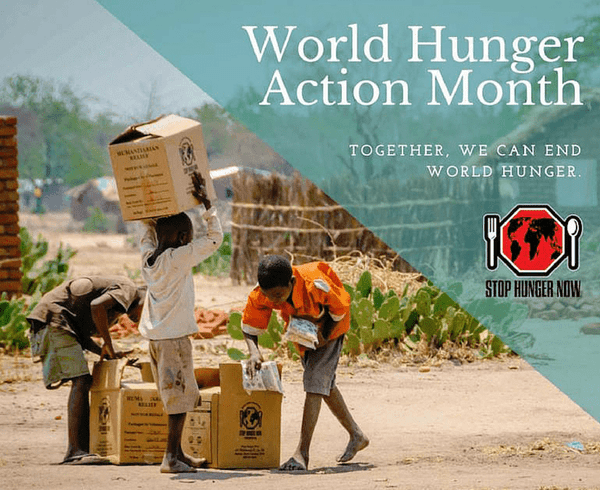 Stop Hunger Now have only recently upgraded to Canva for Work, as a part of the Canva for Good initiative. However, Carolyn claims they are already seeing positive results for international collaboration. Approved photos and logos are now organized by folder, ready to drop into any project. Since configuring a Brand Kit, their chosen colors and fonts are the default when starting a Canva design. This saves time and energy, both being precious resources to any organisation. See what Canva can do for your team! Want to know more about how Canva can help your team? Provide your details and someone from our team will get in touch!